THOUGHTSKOTO Thoughtskoto : Congress, Approves Free Irrigation to All Farmers Nationwide! 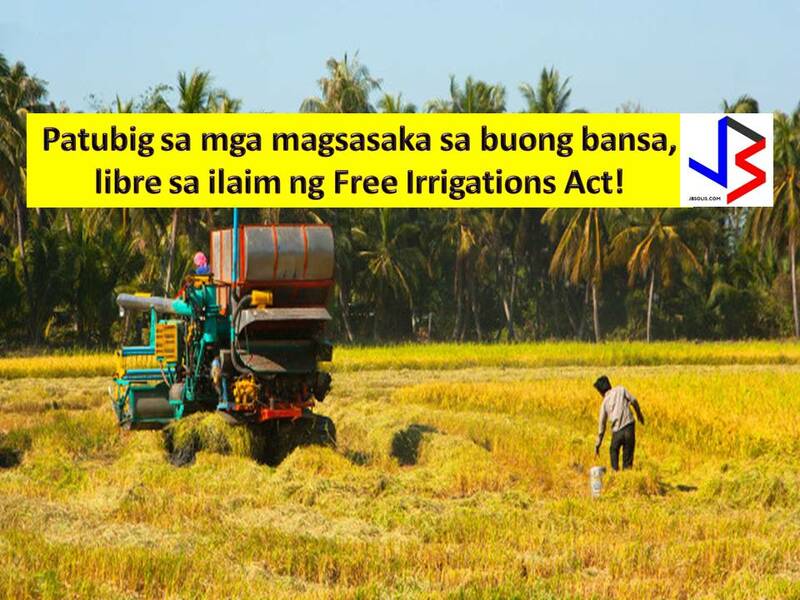 Congress, Approves Free Irrigation to All Farmers Nationwide! One of the promises of President Rodrigo Duterte in his election campaign last year is to provide free irrigation for farmers to boost their productivity and to ensure food security. This promise is not forgotten for farmers. Farmers, irrigator's association, and farmer's cooperative will be having a good reason to continue their passion in farming for the Philippines if House Bill 5670 or Free Irrigation Act will be passed into a law. Earlier the House of Representative has approved the bill on third and final reading. 1. To pursue a genuine agricultural development strategy by providing support services for farmers, with the end in view of raising their productivity and improving their access to markets. Qualified beneficiaries include farmers, irrigators’ associations, and farmers’ cooperatives. Owners or operators of corporate farms, plantations, fishponds and other non-agricultural crop users drawing water or using drainage facilities of the National Irrigation Administration (NIA) are not qualified beneficiaries of the program. 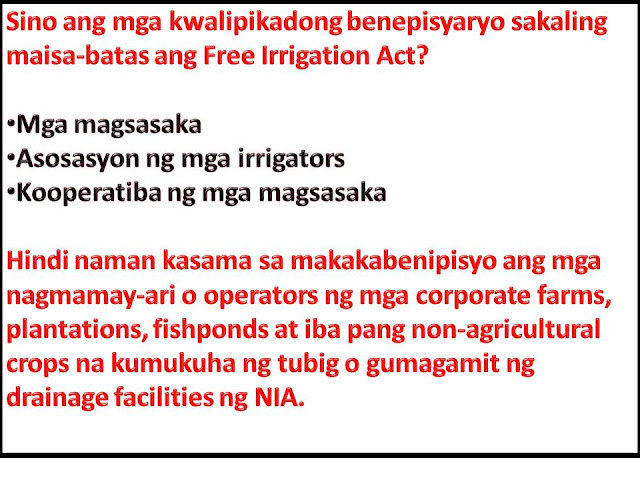 Under the bill, the NIA will provide technical and financial assistance to farmers and local government units. In P3.35-trillion national budget this 2017, P2 billion is allocated for irrigation fee subsidy.